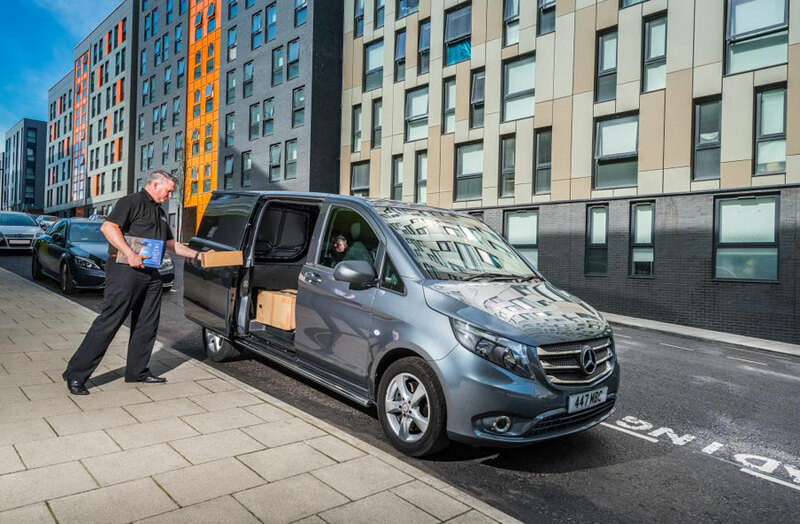 While the heat of the summer is well and truly upon us, the hot weather is causing health problems for the nation’s van drivers, according to the latest Business Barometer research from Mercedes-Benz Vans UK Ltd. Despite warnings to carry water at all times in the UK’s ongoing heatwave, one in five of the UK’s van drivers are avoiding drinking water suggesting that drivers are keen to avoid having toilet breaks that can impact targets for delivery companies. More than 2,000 van drivers and owners were asked to give their feedback on hydration and health, and a staggering 70% say that work pressures severely impact their ability to keep hydrated and have a healthy diet – with 27% adding that they rely solely on sugary drinks or caffeine to get them through long days. Nearly two-thirds of drivers (63%) say that their health has been impacted by a poor diet at work with one in ten now suffering a serious health condition as a result of working patterns. Perhaps unsavoury, but another issue is van drivers avoiding toilet breaks. One in ten say that they ‘wee’ on the move to avoid having to stop and potentially miss challenging targets, with 31% saying that asking to use a customer’s facility would be too awkward. Johanna Hignett, member of the British Dietetic Association and spokesperson for the National Hydration Council, said: “Van drivers have a busy job and need to maintain high levels of concentration all day. Being well hydrated is really important, not only for our physical health, but also for mental performance. If we don’t consume enough water, we can experience fatigue, or become less alert, so it is really important that van drivers are taking on fluid throughout the day. The European Food Safety Authority recommended fluid intake per day for is 2.5 litres for men and 2 litres for women, around three quarters of which should be coming from drinks. Steve Bridge, Managing Director, Mercedes-Benz Vans UK Ltd, commented: “Being dehydrated impacts cognition and therefore driver ability – and so it is of vital importance that van drivers take more care of their health and diet during the heatwave. Our research also highlights an interesting debate regarding the use of customer toilets; it is perhaps unlikely that we would say no to a plumber or electrician asking to use our facilities – so why would a delivery driver be any different? For more information about the Mercedes-Benz Vans Business Barometer, please visit www.mbvans.co.uk/businessbarometer or follow #bizbarometer on social media.